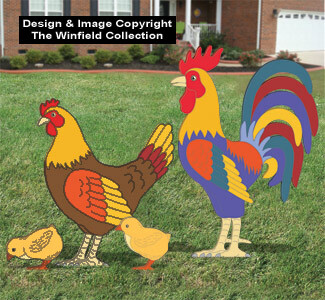 These giant colorful characters will get lots of attention strutting and pecking around your yard. Sure to delight your guests and neighbors alike. 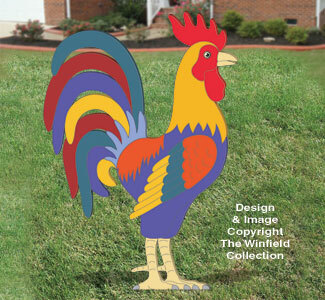 This Giant Colorful Rooster will get lots of attention strutting his stuff in your yard this summer! NEW! 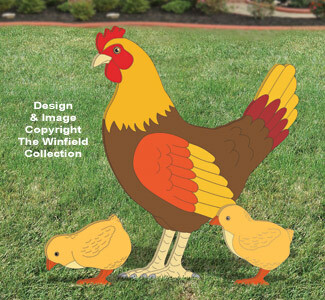 This giant colorful Hen and Chicks will get lots of attention pecking around in your yard this summer!